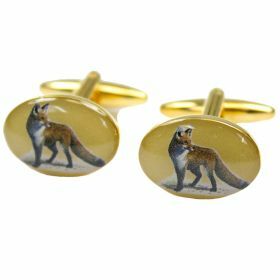 Stunning dome cufflink with an inlaid design of a fox. Perfect gift for anyone interested in the traditional sport of hunting or the countryside. Smart presentation box.